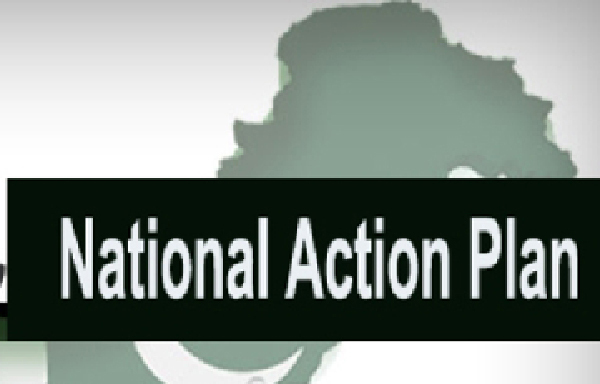 ISLAMABAD, Aug 21 (APP): The preliminary meeting of Implementation Committee for National Action Plan (NAP) would be held here on Monday, with National Security Adviser Lt. Gen ® Nasser Janjua in the chair. The meeting to be held at Prime Minister Secretariat, will be attended by all the Members of the committee, relevant Federal Secretaries, all provincial Chief Secretaries, all Inspector Generals of Police, Director General Military Operations, Representatives of Intelligence Organizations, all provincial Home Secretaries besides other officials. According to official sources, Attorney General of Pakistan, Chairman Pakistan Electronic Media Regulatory Authority (PEMRA) and Chairman Pakistan Telecommunication Authority (PTA) have especially been invited to attend the meeting as co-opted members with some Federal Secretaries for their input on various matters pertaining to the subject. The Committee, with full resolve, will take stock of the situation, monitor the progress, take into account all the impediments and chalk out a way forward to attain the desired results as per the national aspirations. Prime Minister Muhammad Nawaz Sharif had recently assigned Nasser Janjua to head the Implementation Committee of NAP.